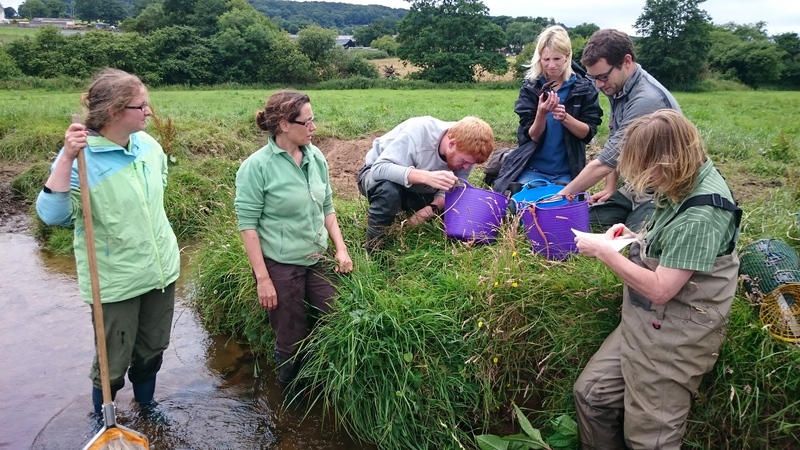 Blackdown Hills Area of Outstanding Natural Beauty Partnership (AONB) is embarking on a new project which will help communities around the River Culm learn about, survey and look after the white clawed crayfish, which is the UK’s only native crayfish. We very much welcome local people to get involved as we embark on this fascinating project. We aim, with the help of the local community, to gather important information about the fragile populations of the native white clawed crayfish, the non-native signal crayfish, and the diverse wildlife of the River Culm within the Blackdown Hills AONB. A series of events will be held along the River Culm where anyone can come and find out more about the conservation of white-clawed crayfish and how they can play a part in its survival in the Blackdown Hills. The first event will be held at Culmstock Village Hall on Thursday 1 February 2018 – drop in any time from 3pm to 7pm.